Hue city belongs to the Central of Vietnam, It located on the banks of the Perfume River. 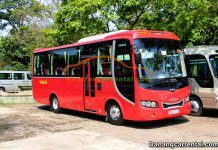 It is about 700 km from Hanoi and about 1100 km from Ho Chi Minh City. Hue people are proud of the long history. 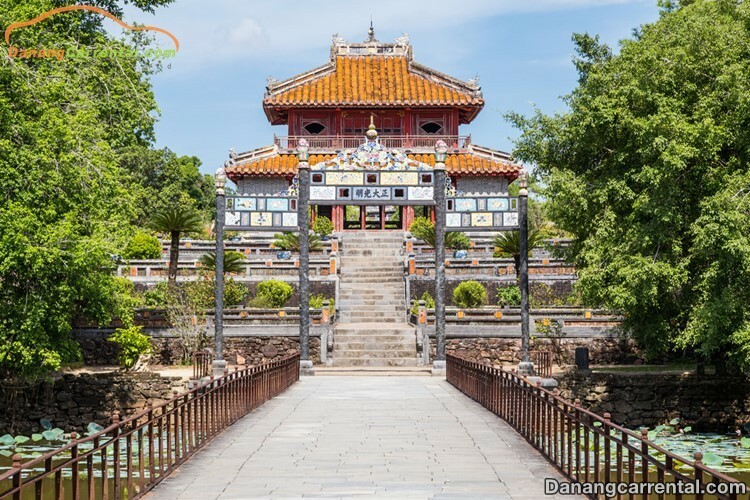 In 1802, Hue became the capital of Vietnam when King Gia Long – the first king of the Nguyen Dynasty chose to make the capital city. The city remained the capital of Vietnam until 1945 when King Bao Dai, the last king of the Nguyen abdicated. Experiencing the ups and downs of history and time, Hue has integrated the material and spiritual values. 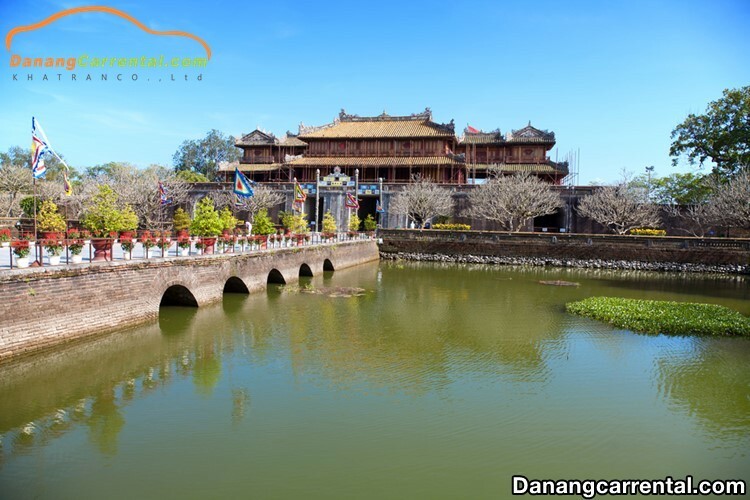 Hue is now the old capital of Vietnam with a lot of thought, ancient and the architecture of the old royal. Many attractions of Hue are located a long the Perfume River – the romantic river with a length of 11 km. These valuable constructions include over 100 buildings. Hue architecture is a combination of religious, traditional and modern architecture. On December 11, 1993 is classified by UNESCO as a world cultural heritage. The north of the Perfume River is surrounded by a 10 m thick wall and surrounded by a moat. Inside the city, there are still many preserved architectures. Do you like something mysterious and valuable in terms of architecture? You should visit the monument tombs here. It situated between the hills on the south bank of the Perfume River which are the beautiful tombs of Nguyen Kings. Among these tombs are four famous tombs: the majestic Gia Long tomb, Minh Mang tomb, the romantic Tu Duc tomb, and splendid Khai Dinh tomb. There is no architect or any visitor who wants to explore the ancient architecture of Vietnam but overlook this relic at all. 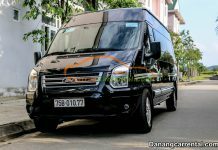 Many foreign tourists are curious about Nhã nhạc of Huế court. Originated from the 8 ritual music under the Le dynasty, the Nguyen Dynasty, the music was refined into “Nhã Nhạc Cung Đình”. 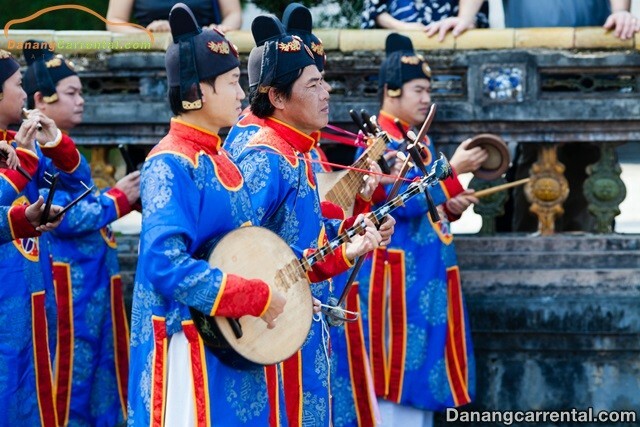 The subtle sound of the form of Vietnamese court music was recognized by UNESCO as a Masterpiece of the Oral and Intangible Heritage of Humanity in 2003. Hue is also an important center of Buddhism. In Hue, there are dozens of temples built over 300 years ago. Thien Mu Pagoda (Linh Mu Pagoda) is one of the interesting sightseeing places. The festival is also Hue’s attraction. Hue Festival is one of the typical festivals. 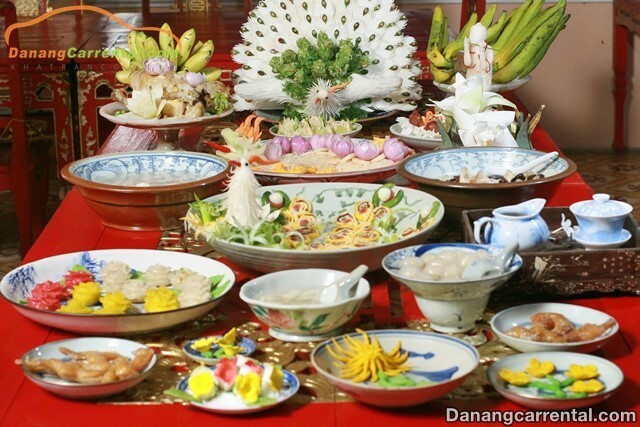 Hue cuisine is very rich, we can enjoy exploring the dishes of the royal family or the local food is sold throughout the city of Hue. No one in Hue can ignore the ancient and romantic beauty of it. Boating on the river, enjoy special dishes and listen to court music … This place converges everything for travelers to explore, from attractive culture, art and architecture, humid. unique, craft villages, wonderful history to the picturesque landscape. The Complex of Hue Monuments , temples, mausoleums. 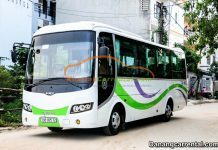 We hope that this article will helpful for you to prepare for your next trip in Viet Nam. 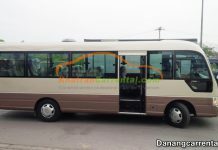 For more specific advice or rent cheap car to visit famous sites in Hue, Da Nang, Hoi An and others provinces do not forget to contact Kha Tran Car rental via hotline Ms Anna: (+84) 91 651 02 01 or Ms Katharine: (+84) 34 797 6789. Wish you and your family a happy journey and many memorable experiences in Hue city!